The DeLorean Motor Company is widely recognized as the leader in both Concours and Daily Driver Restorations. The professional restoration of a DeLorean is no small task, requiring many hours, years of experience and the access to the proper parts. The process begins usually with a phone call from a DeLorean owner, sometimes from an owner who realizes their new purchase needs more work than they expected, sometimesfrom an original or long time owner who remembers how their car was when they first got it. Either way, they want it right, and they want the job done properly. The customer will often bring their DeLorean to one of our facilities, but if they desire, we will arrange transportation of their car to our facility. Before we begin our inspection, weve listened to the owner tell us what they want, because, after all, it is their car, and they are the ones in control of the restoration. The DeLorean is then washed, so as not to disguise any blemishes that may be lurking. Our experienced technician goes over the car thoroughly, checking the body, drivetrain, electrics, suspension and interior. 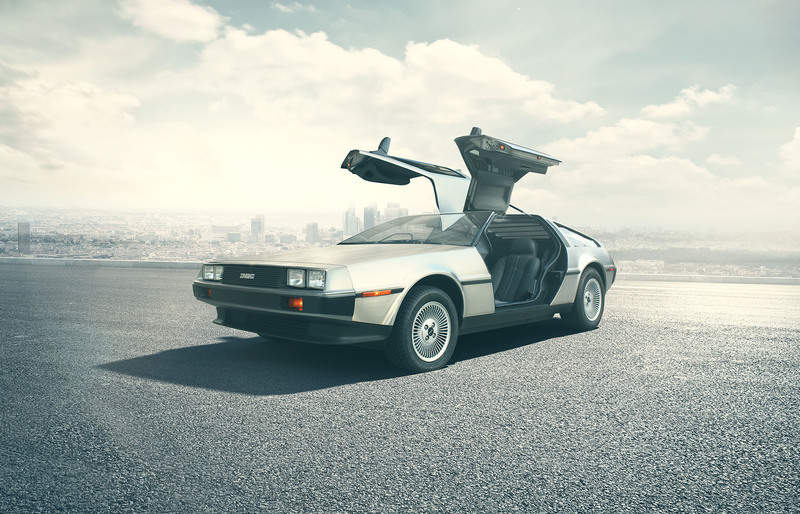 Between the visual inspection and the road testing, an average of 3-4 hours is spent on the pre-restoration checklist which has been developed in-house by technicians experienced with DeLoreans. Our multi-page checklist has evolved over the past 25-plus years of working with DeLoreans day-in and day-out. Occasionally, a problem appears that must be diagnosed. Either way, there is no guesswork involved weve worked with the DeLorean long enough to know what you need, and what is required to do the job. After the inspection is complete, the checklist is converted to an estimate, where our 25-plus years of experience with the DeLorean works to the owners advantage as we compute labor times. Our parts inventory includes the worlds largest supply of DeLorean parts, which means the best selection for the restoration project. When the estimate is complete, well fax, mail or email a copy to the owner, and then follow-up with a phone call to discuss the findings and let them decide what should be done. Well recommend areas where safety or reliability is an issue, but the final decisions are always left up to the client.